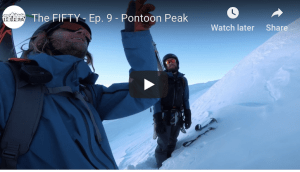 Want to learn more about snow forecasting? Download the FREE ‘Grasshopper Guide To Snow Forecasting’ by filling out the information below… 16 pages of snow forecasting gold: how to read charts, typical snow systems, the when, where and why of snow forecasting and a full glossary of A-Z weather definitions. 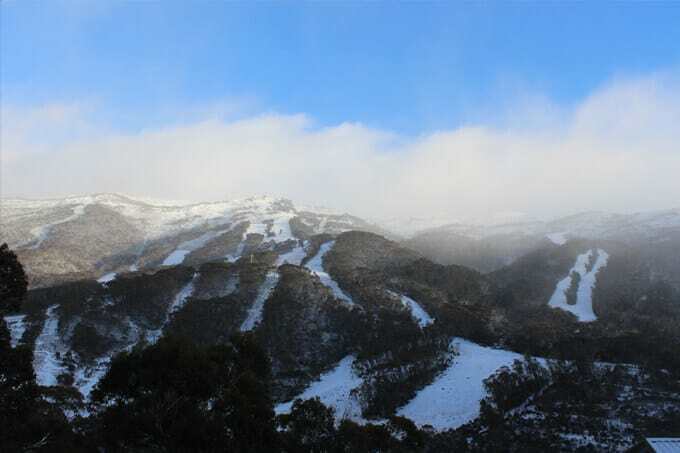 As forecast a snow-bearing cold front crossed the Aussie Alps on last week on May 10-11, a burst of cold southerly air seeing low freezing levels and snow down the 800 metres. After an autumn with temps well above average in the eastern states, a cold front moved north, bringing temps well below average and there was even some snow in the inland NSW town of Oberon. 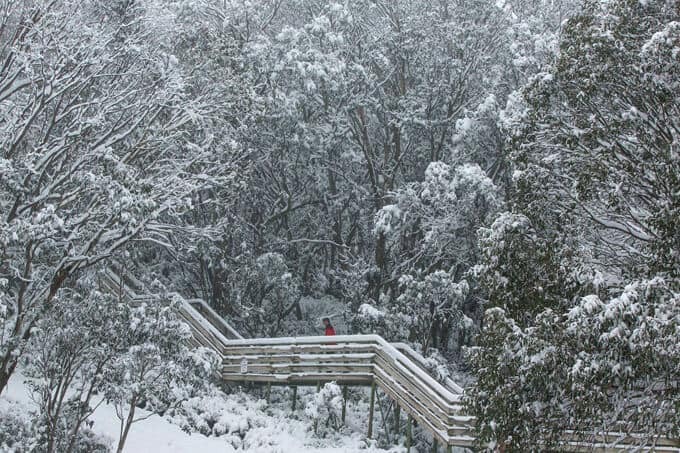 The snow started across the Victorian resorts early Thursday, May 10 before moving up into NSW in the afternoon. 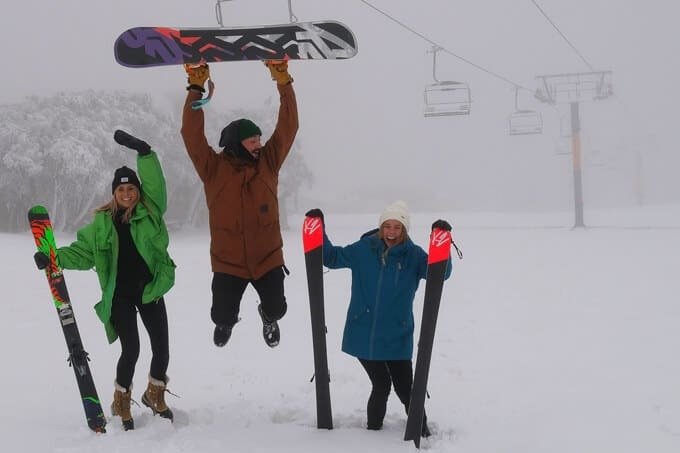 The temps stayed below zero snow showers continued all day with a 10cms in Hotham, Falls and Buller by the afternoon. After the first cold front, a low off Tasmania kept things cold and wet with before the snowfalls intensifying overnight Thursday. 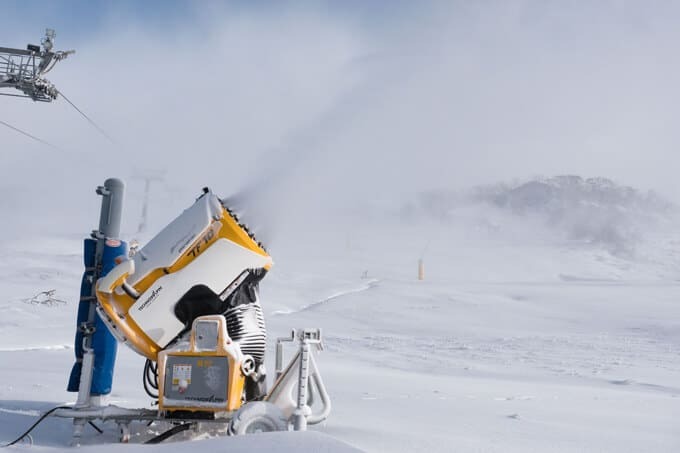 Perisher took full advantage of the cold temps and had the snowguns firing on Front Valley for 24 hours straight. The mountains were looking very wintery on Friday morning with all resorts working hard on social media with plenty of images and videos. 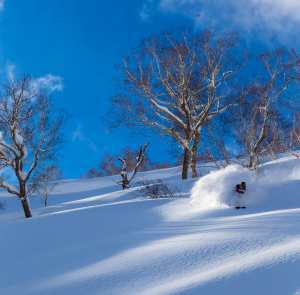 In his Australian season outlook published on Thursday, the Grasshopper forecast 25-35cms at most resorts from this storm. He was pretty well spot-on, the Victorian resorts hitting the upper end of the scale. 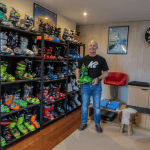 Psyched for the season at Buller. 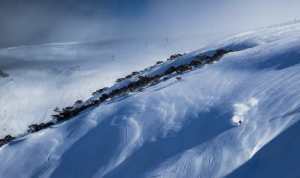 Photo courtesy Mt Buller. There was a lot of excitement throughout Friday as the snowfalls continued and the media were all over it, loving the “Antarctic Blast” tagline. 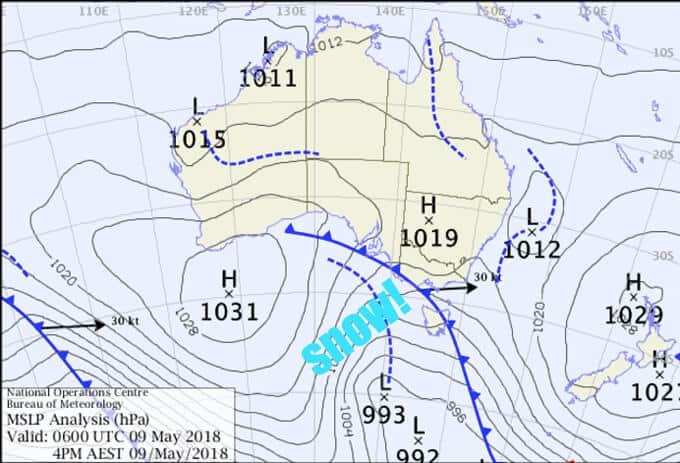 However, as the low tracked further north into the Tasman Sea on Friday night it brought plenty of moisture, but with warmer air. 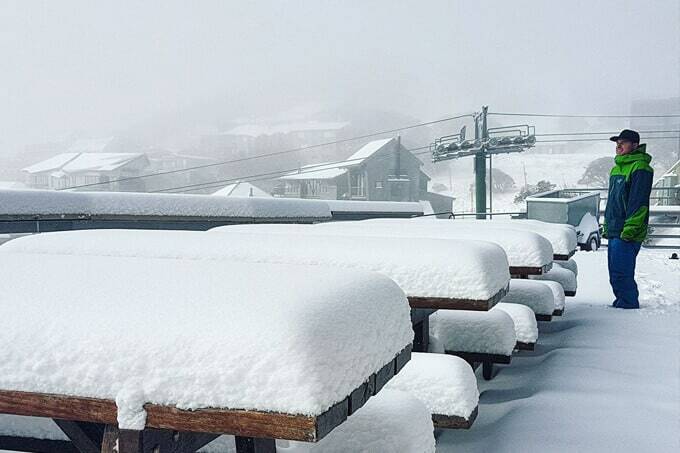 Thredbo looking pretty good, Friday May 11. Photo – Elliss. The lower slopes did see rain and the weekend turned out to be pretty ordinary, particularly in NSW, with snow showers restricted above 1800 metres and drizzle on lower levels. It is sunny in the mountains today and after the relatively mild weather yesterday, much of the snow that fell on Friday has disappeared and the lower slopes are back to grass. The snow guns firing on Front Valley, Friday May 11. 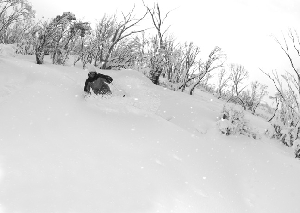 Photo courtesy Perisher. It’s now just over three weeks until the official opening weekend, and while the snow came and went pretty quickly, it was a good taste for the upcoming winter. Hopefully it is a sign of things to come.